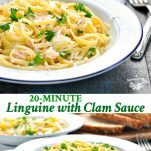 Linguine with clam sauce is full of flavor and ready in only 20 minutes! 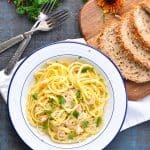 This Linguine with Clam Sauce is a quick, easy dinner recipe that’s perfect for busy evenings — and it’s ready in just 20 minutes! 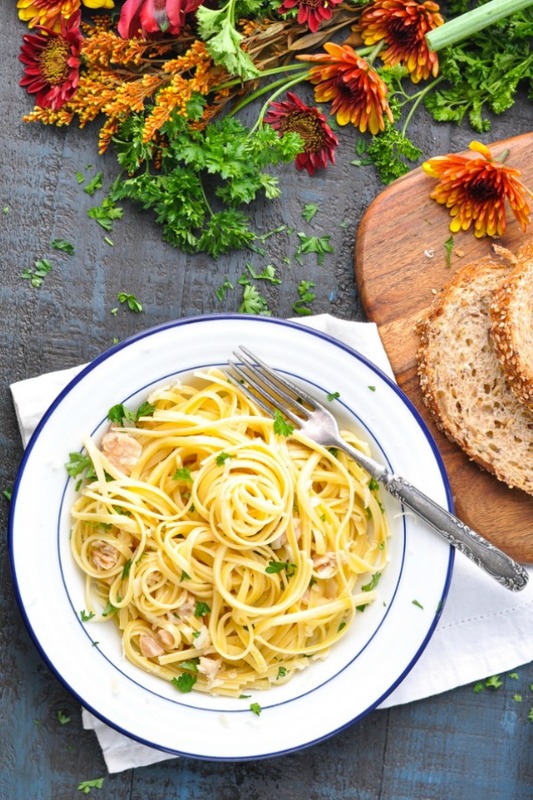 This clam sauce is not only delicious, but it’s packed full of iron too! It’s funny where recipe ideas come from. This particular dinner was inspired by my obstetrician! About a month ago, we were chatting about ways that I could incorporate additional iron into my diet. So during this friendly little discussion with my doctor, I learned that clams are an excellent source of iron. Who knew? I have always liked clams (typically of the fried variety), but they don’t exactly make it onto my weekly grocery list. Until now! 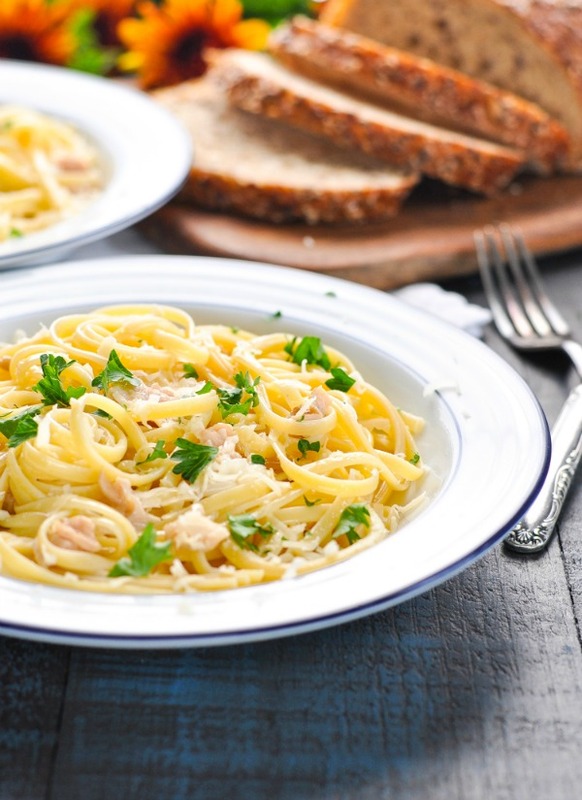 This dinner turned out to be a winner with the entire family – it’s fast, it requires only a few ingredients, and it’s tasty! 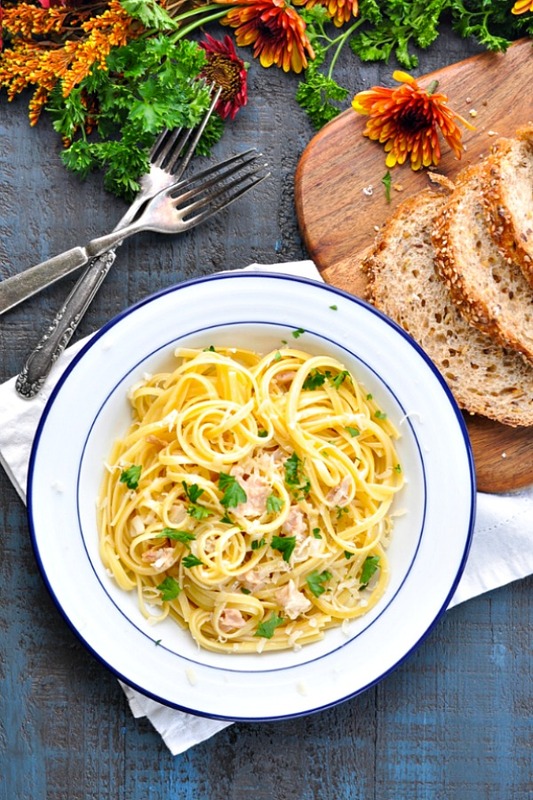 This pasta dish is a great way to introduce children to shellfish, too. The chopped clams are very small and almost undetectable amidst the buttery garlic sauce. Top it with some Parmesan cheese and everyone will love it! My husband liked this dinner just as much as the kids and I did. However, he was really doing a happy dance at the thought of eating even more ribeye steaks in an effort to up the iron intake around here! Cook linguine just until al dente, according to package directions. Drain. Meanwhile, heat olive oil and butter in large skillet over medium heat. Saute garlic and onions until softened – about 2 minutes. Add ¾ cup reserved clam juice, wine, and Worcestershire sauce. Bring to a simmer, then lower heat and cook on low for about 10 minutes. Add cooked linguine, clams, and parsley to the skillet. Add salt, to taste. Simmer for about 5 more minutes, until sauce is mostly absorbed. Serve with Parmesan on top. Recipe slightly adapted from Disneyfamily.com. Feeding a larger family? Just double the ingredients (using a full 1-lb. box of pasta)! 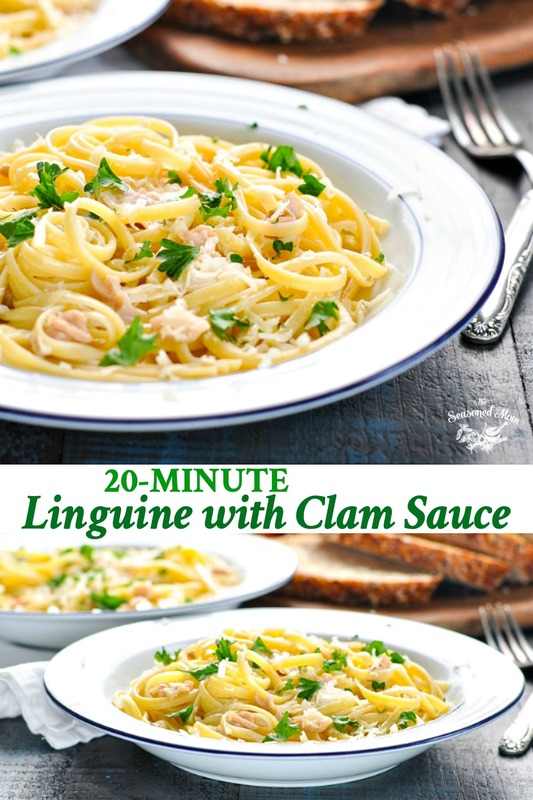 This recipe for Linguine with Clam Sauce was originally published in September, 2013. The photos were updated in November, 2017. Not only are your recipes great but the photos are beautiful! This looks amazing! I don’t think I’ve ever actually eaten clams before – but I know my Dad loves them so I might have to try this out! 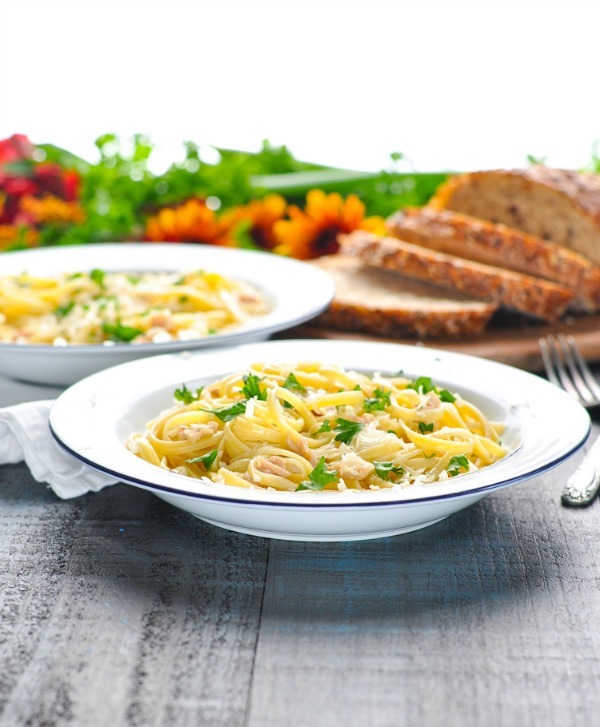 Wow, this meal looks realy tasty <3 Thanks a lot for sharing this recipe with us – I'm sure both me and my family will love it once I prepare it! And it's pretty quick to do as well. Thanks, Carla!!! I hope that you enjoy it! I had no idea clams were full of iron. This sounds delicious, can’t wait t try it! If I omit the wine, should I replace it with, say, chicken or vegetable stock?